The Nvidia GeForce GTX 1070 Ti is expected to use the same GP104 GPU as the GTX 1070 and GTX 1080 but with just one SM disabled. This gives it a grand total of 2,432 CUDA cores. The GPU will also be paired with standard GDDR5 and not the faster GDDR5X. 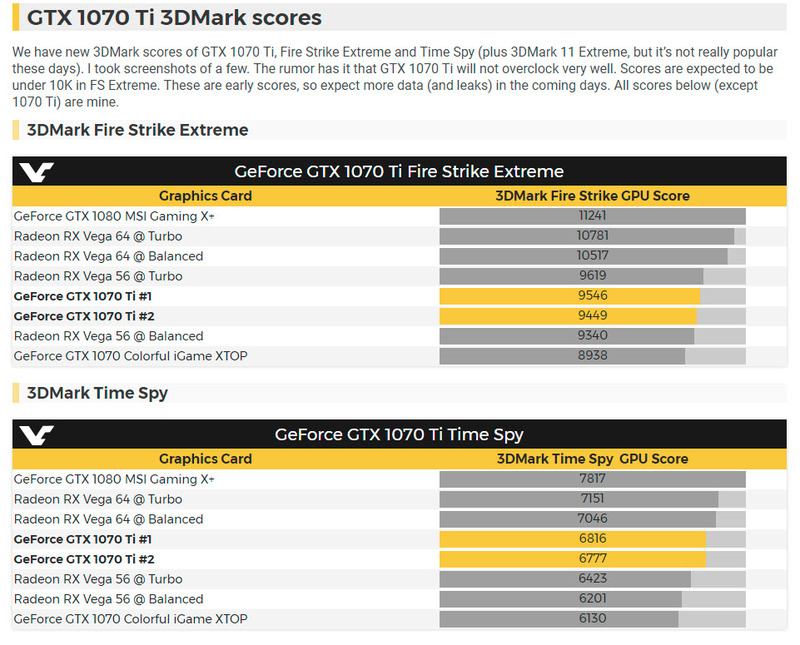 It’s also speculated that the card won’t be a great overclocker to more significantly differentiate itself from the TX 1080. The Nvidia GeForce GTX 1070 Ti is rumored to be released on October 26.